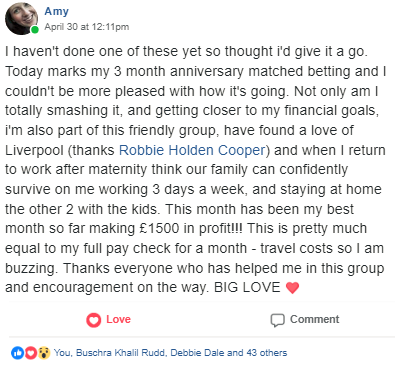 Matched betting is a great way for mums to make extra money in their spare time. 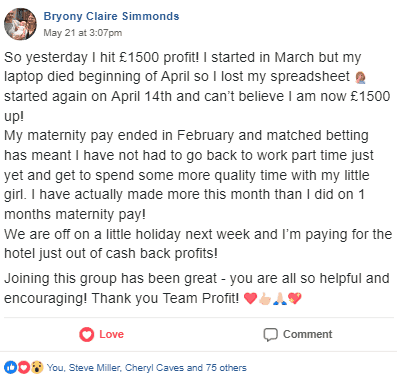 It's been endorsed by MoneySavingExpert, national newspapers, plus you can join hundreds of mums in the Team Profit Facebook Group (it's free and awesome!) who are making £100+ each month from the comfort of their living room. 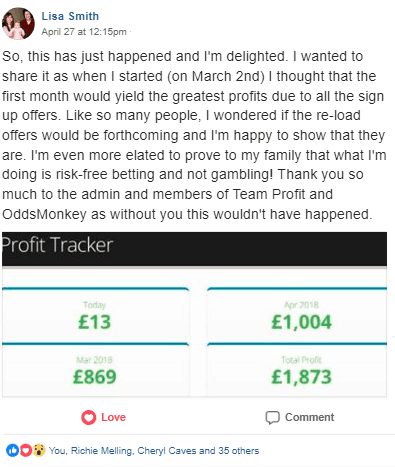 Team Profit is the UK largest's free matched betting website, helping you learn and make £1,000+ profit from matched betting, so you're in the right place if you are keen for some extra cash! 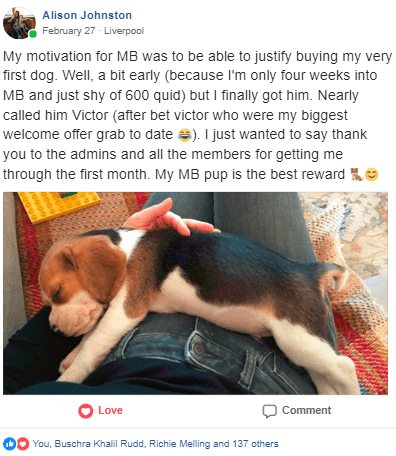 In total these four Mums made £6,200 profit (and a pup!) within their first few months, big congratulations to them! You can definitely do this too, you don't need any prior experience of betting or maths, you will learn how to do this in the free video guides. Everything is free for you on Team Profit! Please head to the Start Here section of the website, this gives an introduction into matched betting and covers key questions you may have too. Also, please do join the Team Profit Facebook Group (free and awesome!) you will find a friendly group ready to help you. Roll on your first £1,000 profit from matched betting!